prayers to restore our marriage, My husband has told me to leave and don't love me any more. I ask for prayers to remove all hate anger and anything else that may be standing in the way of our marriage. I ask that all bad memories removed and replaced with love and forgiveness. I also ask for Prayers for my husband to come to the lord. That the lord will bless us with a new and wonderful Marriage ask God meant it to be. 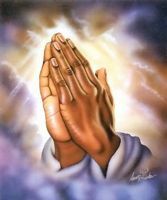 I also ask for prayer for my self to rely on God in everything. God bless you, Jodi. Thank you for sharing your prayer. I know that marriage is a very strong link that isn't so easy to ruin. Before marrying my husband I read different pieces of advice at different sources. It may seem funny. The choice we've made with you, however, is the choice of our hearts. That's the most important thing, I guess.